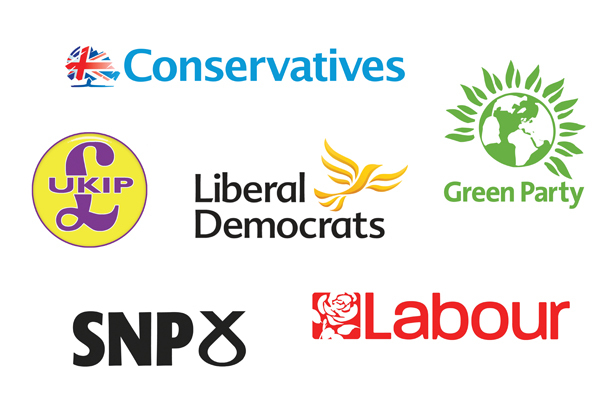 A post-election survey has revealed that the television debates were the biggest factor influencing voting intentions, followed by television interviews, especially for UKIP and SNP voters. The survey was carried out on a random, but representative, sample of more than 2,000 UK-wide residents by FTI Consulting between 8 and 10 May. Asked which sources helped influence their decision about who to vote for last week, 30 per cent of respondents chose the television debates; rising to 38 per cent among those who said they voted for UKIP and 37 per cent for SNP voters. A further 26 per cent opted for television interviews as their main influencer but, again, this figure rose to 35 per cent among UKIP voters and 33 per cent among SNP voters. The statistic, perhaps, undermines the narrative that UKIP leader Nigel Farage underperformed and alienated the public during the debates and television interviews. The opinions of friends, family and colleagues influenced 19 per cent of voters, but this rose seven percentage points, to 26 per cent, among women voters and fell five percentage points to, 14 per cent, among men. Nearly half of those who voted told the survey that policies on national issues were the biggest deciding factor in who to support at the election, while 39 per cent said it was the political party in question that was the biggest influencer, suggesting that tribal allegiances towards the parties remain strong. Meanwhile, 28 per cent of respondents said the party leader was the main influencer on how they voted, rising to 40 per cent among Conservative voters, but falling to 17 per cent among Labour voters. A quarter of women said the party leader was a key influencer while 30 per cent of men agreed with this statement. There was also evidence of the ‘shy Conservative’ effect when respondents were asked how truthful they would have been if asked how they were going to vote ahead of the election. Of Conservative-voting respondents, 80 per cent said they would have revealed their voting intentions to family and friends, if asked. However, this figure dropped to as low as 52 per cent of Conservative voters if they had been approached by a market researcher in various different scenarios. A similar survey, carried out in February by FTI, found that 49 per cent of all voters had not made their minds up, perhaps accounting for the shock result last Friday. Overall, 38 per cent of respondents said the Conservatives' campaign was the most influential, followed by the Labour campaign on 12 per cent, while 25 per cent said none of the campaigns was influential. FTI’s lead researcher for the survey, Dan Healy, said: "Our own research during the campaign showed a fickle electorate where half admitted they could change their mind on who to vote for. This presented a huge opportunity for communicators and a nightmare for pollsters trying to grapple with this increasingly frenetic influence environment as election day approached. There were shy Tories who were reticent to participate in research and not even tell the truth, but this was exacerbated by extroverted Labour voters who were willing to participate and even tried to influence others online."